Crisp, clean lines make the perfect marriage of form and function. A distinctively deep screen can be created using the double panel shower screen. The Square Double Panel with Towel Rail bath is both superbly elegant and incredibly practical. Do away with your daggy shower curtain and upgrade to this quality bath screen. The Square Double Panel with Towel Rail features clean and crisp lines and is distinctively deep, thanks to double panel glass. 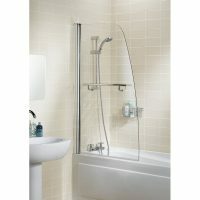 It is equipped with a gorgeous frame in polished silver and also includes a handy towel rail. It measures 1500mm tall and 945-970mm wide and is made from 6mm safety glass. 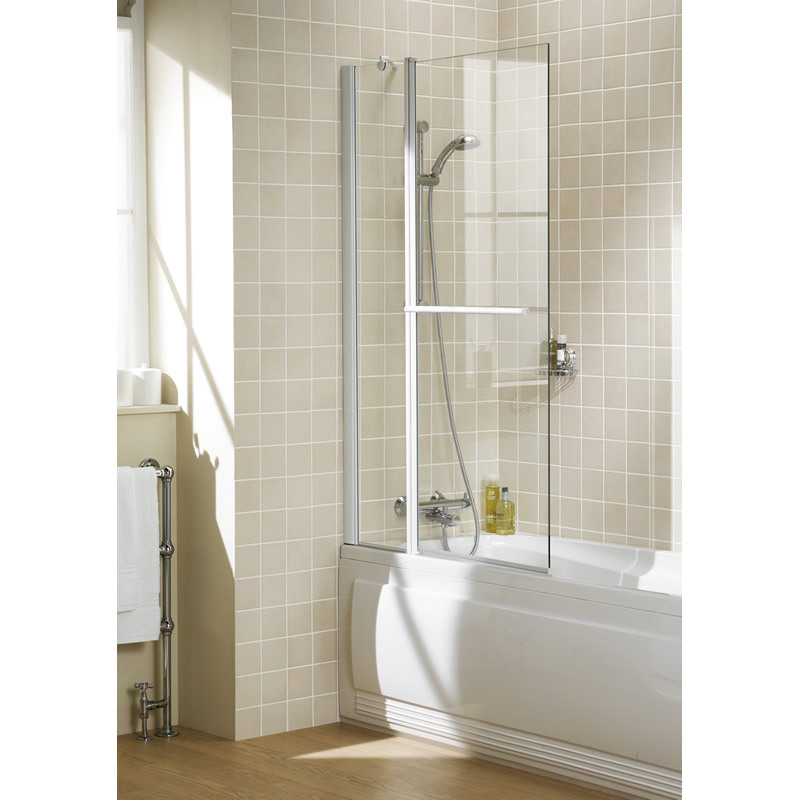 The glass panels are fully reversible and designed for an easy fit in existing bathrooms. 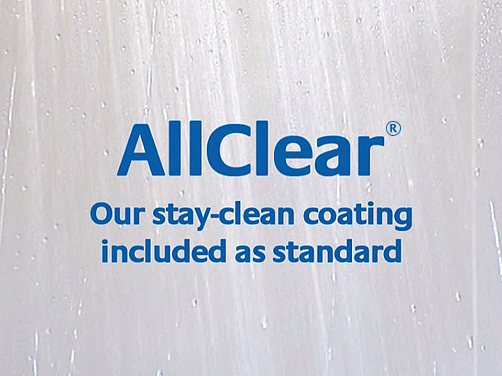 They are also equipped with an AllClear coating, an invisible, microscopically smooth shield that prevents the buildup of grime. This means your shower screen will stay clean longer. This quality product is manufactured by Lakes Bathrooms and is covered by a remarkable lifetime guarantee. 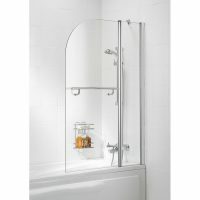 Replace your daggy shower curtains and equip your bath with the elegant Square Double Panel with Towel Rail bath screen. Buy this quality product online at Ross’s Discount Home Centre and receive free delivery to Perth Metro areas!